How to convince your children to brush their teeth every day, 2 minutes long? The answer seems very simple: build an app! Gamification of a boring experience seems to be the new route to a beautiful smile. 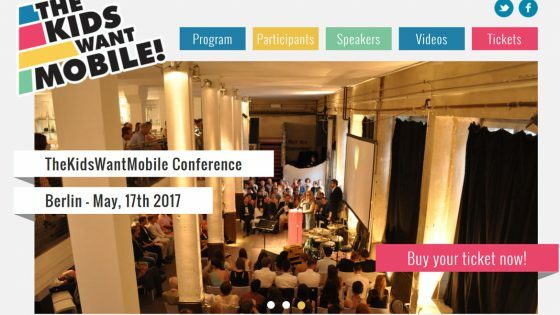 That is what Signal – see photo above – just did with their new Playbrush product. Playbrush uses a sleeve that has to be put over the handle of a ânormalâ brush. That way you can use the same sleeve for all the youngsters in the family. The brush communicates with the app and makes the children control a game using their brushing movements. But in the same time it registers the time and the quality of the brushing. The Kolibree app interprets qualitative & quantitative information about the kids’ brushing habits. It teaches kids and parents how to brush. With the games inside, learning good dental habits becomes a playful experience. The game usage increases brushing time, while kids have fun, but what’s more, the game directs children to brush areas they may neglect. Oral-B (Procter & Gamble) associated itself with Disney through the Disney Magic Timer app, which had more than 1 million downloads up till now. According to their own figures, 98% of kids brush longer with the Disney Magic Timer app, powered by DreamPlay. The app features twenty-three of the favorite Disney, Marvel and Star Wars characters, and is meant to encourage kids to brush longer. It makes use of the collection of digital stickers after each successful two minutes of brushing; and kids & parents can track progress with stars and milestone badges on the Brushing Calendar. With the Sonicare For Kids app from Philips , when kids start to brush they see the inside of a mouth that hasÂ a set of filthy teeth. By brushing in different areas they can clean away the grime and the bacteria creatures that pop up. The app also has a parent dashboard,Â allowing youÂ to check up on your childâs progress and confirm that they have actually brushed when they say they have. You can also set specific rewards, like a cinema trip or a toy, to motivate them to go after those achievement badges. TowardsÂ the end of the recommended two minutes theyâll see the king bacteria creature and once he has beenÂ successfully dispatched, theyâve completed the brushing. For Aquafresh, ‘Captain Aquafresh and the Nurdles entertain your kids with catchy songs and dances whilst showing them a fun and appropriate way to brush. You can even use your own tunes!’ A timer counts down the recommended brushing time. Colgate didn’t create a real brushing-assistant app, but they did a good job on their website with their “2 Two Minute Tales” that should help kids get through the full brushing time in an entertaining way. 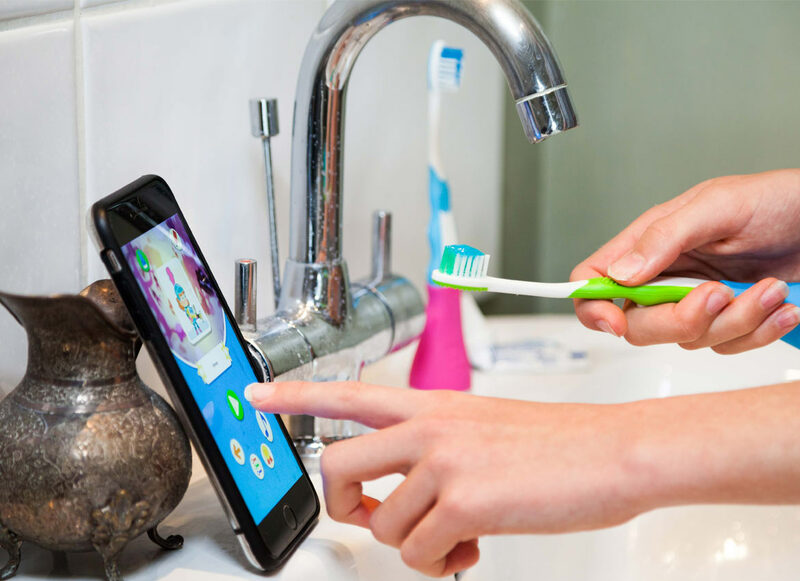 In most of these cases, the apps include a lot of interesting facts, tips & tricks that motivate the parents in supporting their children concerning mouth hygiene.